Sustainable cement production – can solar energy replace fossil fuels? View of raw cement powder in the still-glowing rotary kiln. 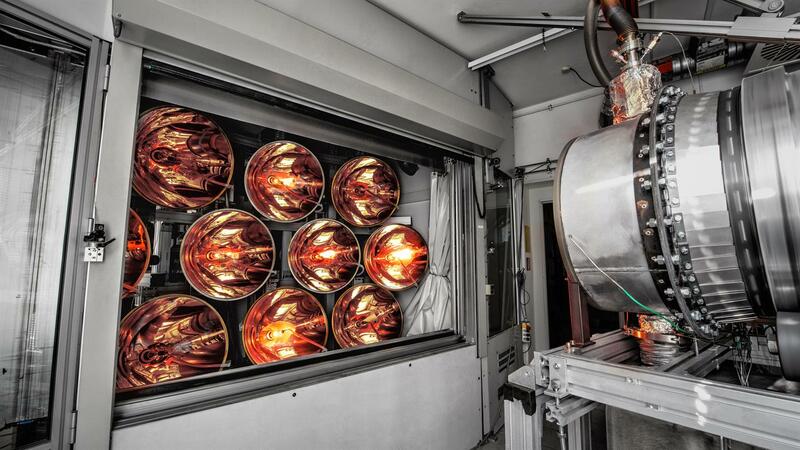 View of the still-glowing solar simulator, which consists of 10 Xenon short-arc lamps. View of the irradiated reactor, with radiation entering via an aperture. Connecting a battery to the measurement system with wireless data transmission. The helical conveyor bin being filled with raw cement powder. Sampling the calcinated raw cement powder. Use of solar energy in the calcination process to minimise carbon dioxide emissions during cement production. Rotary kiln successfully tested in the solar simulator at the DLR Institute of Solar Research in Cologne. Can be used in Southern Europe and emerging markets. 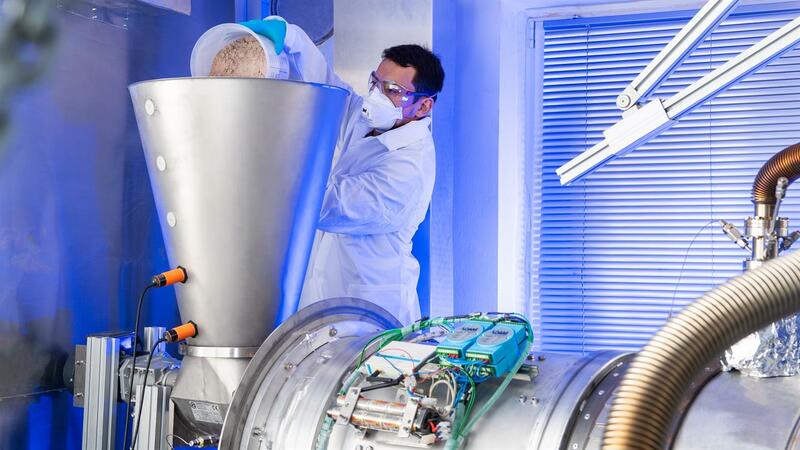 Solar researchers at the German Aerospace Center (Deutsches Zentrum für Luft- und Raumfahrt; DLR) have investigated how solar energy can replace fossil fuels for the cement production process. 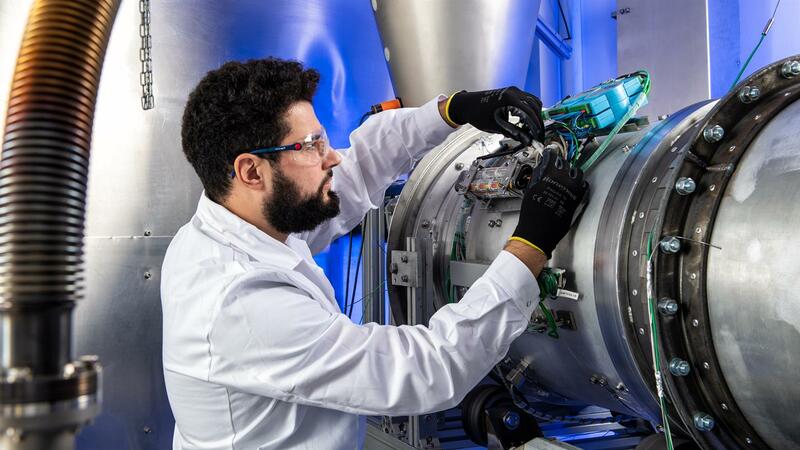 The initial manufacturing stage, the calcination of raw cement powder, has been successfully tested using a rotary kiln in the solar simulator at the DLR Institute of Solar Research in Cologne. Cement is one of the world's most used commodities. Its production requires high temperatures that are predominantly produced by burning fossil fuels. The 'solarisation' of this process would therefore make a significant contribution to the reduction of global emissions. The main customers for such technology would be quicklime and phosphate producers, and especially the cement industry. All three are major industrial sectors, in which the calcination of raw materials is essential. The largest industry that performs calcination is the cement industry. This consumes two-thirds of the fuel used in the overall production process. When mixed with water, cement produces the building material concrete, which is the world's second most used commodity, after water. This industry is responsible for approximately nine percent of global carbon dioxide emissions. Half of this results from the chemical reaction, the other half from the use of fossil fuels. The growth of emerging economies is expected to result in a further increase in demand for cement and hence carbon dioxide emissions. Currently, not just fossil fuels are used for calcination, but also waste and tyres. The tests were conducted between December 2018 and January 2019 in the Cologne solar simulator. 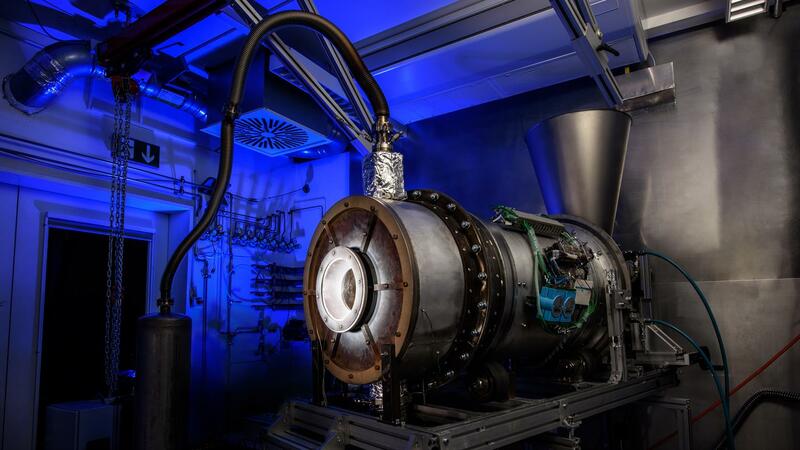 The rotary reactor can be operated with both natural and artificial light, but the researchers opted for the simulator because of the limited hours of sunshine in winter: "The main purpose of the simulator is to provide unchanging conditions. After characterising and optimising the reactor under these conditions, it is then possible to adapt this to real-life conditions, with very few changes to the parameter settings, such as adjusting the material flow rate, for example," says Gkiokchan Moumin, who is writing his doctoral thesis on this project at the Institute of Solar Research. The aim of the test campaign was to demonstrate the reliable, multi-hour operation of the reactor, spread over several days. 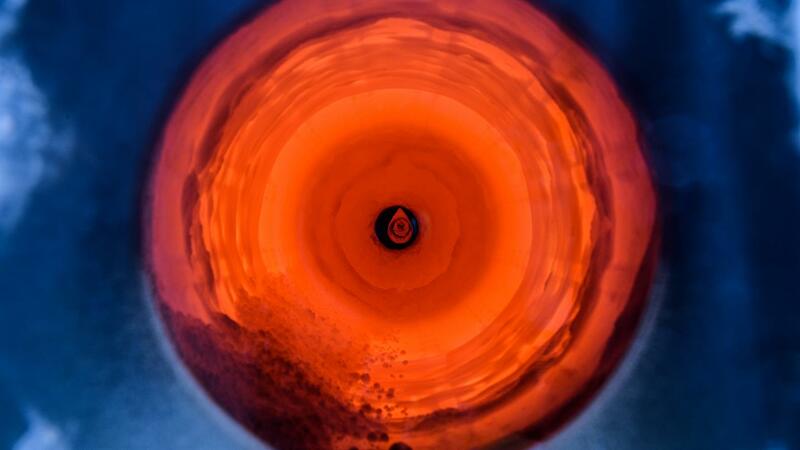 The raw material was heated at various flow rates in the rotary kiln, to a temperature of 1000 degrees Celsius – the temperature at which the critical chemical reaction begins. The researchers succeeded in producing calcinated raw cement powder with the same product quality as is possible with conventional reactors. "Handling the material was the biggest challenge. We were processing very fine raw cement powder, which is the basic ingredient for production. The flowability of this substance is extremely limited and it is difficult to process at 1000 degrees Celsius. We also had to consider and minimise the dust generated by the powder," explains Moumin. Initial tests as part of the SOLPART project previously showed the rotary kiln to be a highly robust reactor, capable of reliably heating particles of varying sizes to any temperature up to 1100 degrees Celsius. A wide range of applications for the use of concentrated solar energy in various chemical processes has already been identified. The optimisation and expansion of this type of reactor could be a major step towards the introduction of solar energy for any high-temperature processed particle production application, not only in Europe: "Operation is possible not only in southern Europe, but also in developing countries, as cement demand needs to be met locally because long transport routes from other regions would not be economically viable." SOLPART is a joint project involving ten European partners from research institutions and industry that began in early 2016 and is co-funded by Horizon 2020, a framework programme of the European Union.